Many people make money from their blog through sponsored posts. Fundamentally, this involves you getting paid for placing posts on your blog for an advertiser. People sponsor posts for a number of reasons, the most common being to promote products or services and another common reason being to get a backlink from an authoritative blog. For example, if you have a gardening blog, you might be asked to publish a post on how to remove slugs from your garden before the first seedlings appear. This might include a link to an advert for an eBook about how to remove garden pests in general, a sales push for a specific slug killer or even a garden maintenance or landscaping service promotion. Many sponsored posts relate to SEO services and attaining high search engine rankings. The requests you will receive for sponsored posts will be related to your blog, but not every blog receives an offer of payment for a sponsored post. Before any individual or company will offer to pay you to publish their post, they will have checked the main focus of your blog, the comments you receive, Domain Authority and your traffic. There is plenty software available to enable them to do this very effectively to enable them to select the right blogs for their needs. This puts you in the driving seat. You have not been chosen randomly, but for the performance of your blog in terms of traffic, authority and the involvement of your readers. A blog with no comments, or even worse, one with only automated spammy comments, would be unlikely to be suitable for this type of monetization. If you are asked if you accept sponsored posts, what should you do? First, consider the price you charge. A good average starting point would be around $30-$70 US for each 8,000 unique monthly visits you get to a blog. Never charge less than that. Double that figure for each extra point. So a blog with 25,000 unique monthly visits could charge in the region of $200-$550 for a sponsored post. You can charge what you like, of course, but this is about the level of payment that bloggers receive for their sponsored blogs. Why not! 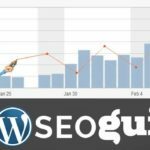 They get the benefit of your traffic, and keep mind that 25,000 unique visits each month will be a lot less than your actual monthly traffic including repeat readers! Google’s Terms of Service do not allow you to accept payment for advertisements designed to improve the advertiser’s ranking position. You can be deindexed by Google if you breach this rule. However, if the link you publish offers more details and information on the topic of your post, then you should have few problems. Sponsored posts can make you money, and this is a one of the best way to monetize your blog. While posts that advertise goods and services offer an easy way for bloggers to make money, be careful to include links to other blogs and websites that relate to the topic of your blog. Do not publish links for vacations on an SEO blog, and do not publish links on a vacation blog for SEO. Car hire or hotel adverts on your vacation blog are OK, and links to cat or dog food sales sites are acceptable on blogs relating to pets in any way. Not, however, on a medical blog! Get the drift? What is the Nofollow Attribute? The Penguin and Penguin-2 algorithm updates positively punish links that appear to have been achieved by means of payment. Paid links are anathema to Google, so while you are permitted to publish links in a sponsored post, they must contain the ‘nofollow’ attribute. You can avoid having to use this attribute by negotiating the terms of your sponsored post. What does this attribute mean? There is a lot of confusion and difference of opinion here. Google says that it does actually follow the link, but does not offer any credit for the link. If you publish a link on your blog, then you are giving that an editorial vote. You are telling your readers – “Hey, here’s a good link you should check out for more information!” People clicking on it will be directed to the target web address, but if that link has been paid for, then that address must not be rewarded with a share of your authority. That applies to any links included in sponsored (paid) posts. If the web page owning a link on your blog has paid you in any way at all to publish it, then Google perceives that you could be misleading Google users (your readers who used the search engine to get to your blog). 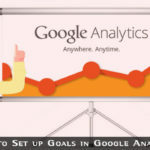 Google will therefore punish you for that, and the two (so far) Penguin updates could even result in your blog being deindexed from the Google databases. So be very careful with paid links – do not publish them without adding the ‘nofollow’ attribute. You are then safe to publish the post. If your advertisers ask you to delete the ‘nofollow’ attribute, you must refuse. You can explain to them that if they are paying for such links, then the Google Penguin algorithm update can detect this and deindex their target web page – in fact sometimes the entire domain, not just the one target web page. You need only use this attribute for links in sponsored blogs or any other web publication that you have been paid for. 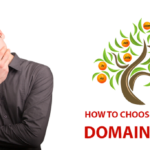 The same applies to yourself – if you purchase links with a view to improving your ranking, then you will also be likely to have your entire domain deindexed. Google might or might not warn you first. Apart from your charge, you should also negotiate for how long your sponsored post will be visible on your blog and whether or not the ‘nofollow’ attribute should be used. Your advertisers will want know its expiration date, and some will even try to get you to agree to make it permanent for a one-off payment. They must also be informed that the post should be closely related to the topic of your blog. Rather than accept this, it is best to come to an annual renewal agreement. 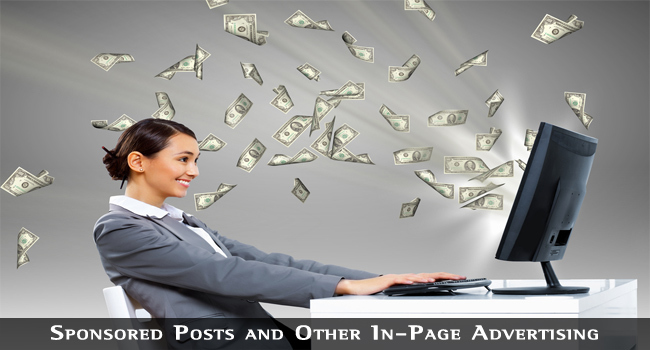 You get paid for each year the post is visible on your blog. You might even be asked for the post to be made a permanent page with a link on your navbar. This should again require an annual payment that you can agree with the advertiser. Make sure it is an advance payment, so that should they decide to remove the post then you are still paid. You should also consider how the post will be promoted through social media – your Twitter and Facebook accounts for example. Sure, it will be pinged using your normal pinging software, but your advertisers may want more than this. They might request that you tweet the post on a regular basis, and provide a link on your Facebook account. This is normal, but make sure that the post includes the ‘nofollow’ attribute on any links it contains. Google will take the same view of the post irrespective of where it finds it on the World Wide Web. If it detects a post link advertised on Twitter that breaks its TOS, then the base URL of that post will be liable to be deindexed. Another aspect of sponsored blog posts that derives from it fundamentally being paid advertising is a regulatory disclosure. Both the American FTC Regulations and the British Unfair Trading Regulations demand that you include a machine readable disclosure of sponsorship within the post. You can do this simply by stating that “This post has been sponsored by . . . “ including the name of the sponsoring business or individual. Please not that some advertiser will now allow you to do this. The ‘nofollow’ rule unless you overcome it by insisting that the sponsored post relates directly to the theme of your blog. The disclosure of sponsorship statement. The pricing agreement – how much and for how long the payment lasts. It is very important that the sponsored post relates closely to the theme of your blog. If not, you could start losing readers. Another negative aspect of paid posts is that some of your readers might feel that you are compromising your integrity. How can you remain impartial if you are promoting a specific point of view or product for cash? Others tend to publish too much of this type of paid content in an attempt to earn more money. That can put readers off, particularly since you should be identifying the paid content on your blog. So how often should you include such posts? Aim for a maximum sponsorship of around 20% of your posts. So 1 in 5 posts can be sponsored posts. Publish too many and your blog will likely contain too much advertising, and this can have a negative effect on your membership. How to Attract an Advertisers for Sponsored Post? Checkout this video (hangout) to learn how to attract an advertisers and monetize your blog. Sponsored posts are a good way to make money as long as you use them sparingly. Make sure that links in such paid posts relate directly to the content of the page on which they are published – otherwise they should contain the ‘nofollow’ attribute. In either case, you should include a statutory disclosure stating that the post has been sponsored and naming the sponsor. 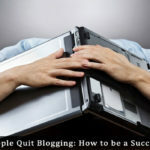 Assuming that you take these steps, then this is an excellent way of monetizing a blog. Companies will pay you to include links within the text of your posts that lead to their own sites – a sales page or just a promotion. Paid or sponsored links are the same to Google as sponsored posts, or even guest blogging. You must include a ‘nofollow’ attribute in the link. That way, visitors will be sent to the sponsor’s landing page, but the sponsor does not get any link juice from the link. If advertisers are against nofollow attribute then make sure link is related to your topic, still it is risky for your blog. Google does not like guest blogging. It believes that guest posts are no more than a means of manipulating search results from the links on the post, and may punish both the owner of the blog, and the guest making the post. Sure, many guest posts are genuine, and intended to provide more depth and insight to a particular topic, but the vast majority are made only for linking purposes. Google knows this, and let’s face it – what guru or expert would want to post on your blog for free unless it was to gain a ranking advantage! Google AdSense is means for bloggers or webmasters to publish adverts from Google’s AdWords PPC program on their own site. You must apply to be included in the AdSense program, but once you have been accepted, it is a profitable way of monetizing a blog and keeping on the right side of Google. With AdSense, you can publish blocks of Adwords adverts on your website or blog, and get paid every time a visitor clicks on one of the ads. It is imperative that you stick rigidly to Google’s TOS with AdWords, and never click on ads on your own blog or pay for clicks. Otherwise, you lose your AdSense account for life, with very little hope of getting it back – even under a different name, website or web host. 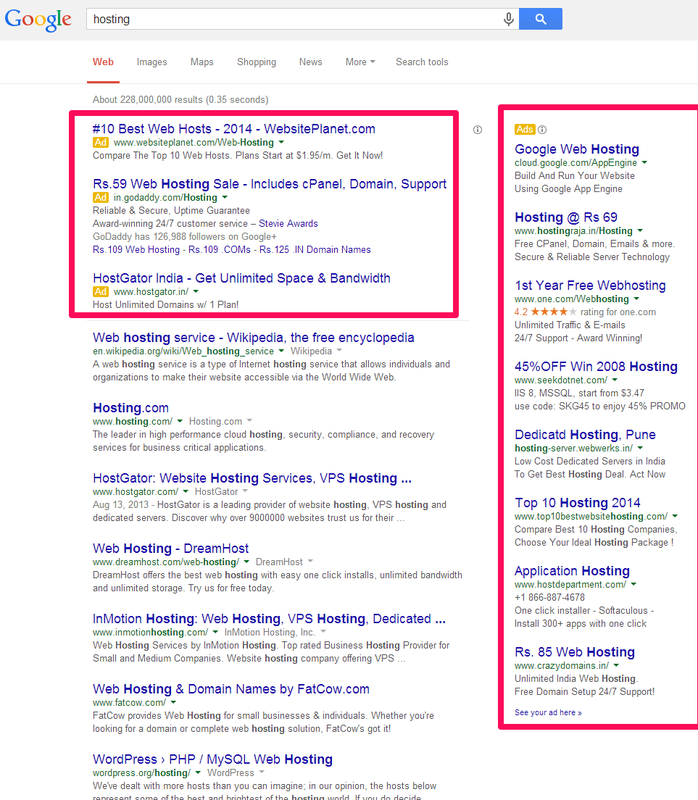 Note: AdWords adverts are those you see on the right hand side of Google search results page. These include Yahoo! Publisher and AdBrite. There are many others, but always keep in the back of your mind that Google is by far the most important search engine. It will therefore allow more latitude with ads from its own network than from Yahoo! and any others. Never try ‘AdSense arbitrage’ that involves paying for adverts on cheaper PPC programs (AdBrite, 7Search, AdRoll) and then sending clickers to pages you have set up with high AdSense payments for each click. These PPC networks are fine to use as an alternative to AdSense (though none are nearly as profitable) but don’t send clicks to another page on your own website with AdSense on them. That will get you banned from AdSense for life with no chance of parole! CPA adverts pay you every time a visitor clicks on the advert and takes the required action. Such ads are usually presented in graphics format, and rather being rewarded for each click, you get paid if take a specific action, such as providing an email address, accepting a free sample or downloading free software. Fundamentally, you are being paid for a lead where the principal can make further sales contact. Examples include downloading a ringtone, taking a free sample of a supplement or simply offering an email address. Also known as CPI (cost per impression), with CPM advertising you do not get paid for clicks, but for the number of impressions or page views your page gets. They don’t have to be original page views, and such programs are based on every 1,000 visits you get each month. For example, at $1/1000 impressions you can get paid $100 a month for every 100,000 blog page/post views you get. You can join an affiliate marketing programs such as Clickbank or Commission Junction and include links on your blog to products that are relevant to the page or the post. If they remain relevant to your entire blog, you can even include these links on your navigation bar or footer. You get paid a commission for every purchase made – 50% of the selling price or over is normal for most products that can be delivered by email or downloaded (eBooks and software for example.) This is perfectly acceptable to Google because nobody is paying you for the link. Still, you should add nofollow attribute to your affiliate links as there is no any need to pass link juice to these links. The above are the more common methods of monetizing a blog using in-page advertising. Most people would look to AdSense and other PPC or CPA programs, but sponsored posts can be even more lucrative. With every method you use, it is very important that you not only read the Terms and Conditions or Terms of Service of the program, but also that you understand and apply them. You should also understand Google’s own TOS if you want your blog to be listed on its search engine. This is probably the most important piece of advice anybody with a website or blog could be given. Keep up with Google on Matt Cutts’ blog and also Google’s own perspective on on-page advertising and links. Each of these links opens in a new window, and they can be of critical importance to anybody advertising on their own webpage or blog but want to stay sweet with Google. The primary message is that you can provide any links on your site that you want, but you must not pass link juice if these links are are paid for in any way. Whether that is direct payment for a specific link, or payment for a post containing links is immaterial. All paid links must contain the ‘nofollow’ attribute – unless they relate directly to the theme of your blog and the post, and there is no obvious reference to any payment being involved. That said, many people have found sponsored posts to be an excellent way to monetize their blog, and have made this a regular source of income from their blog. It is perfectly possible to achieve this without breaching Google’s TOS.